Creation of Royas beverages began centuries ago. Having been told stories of ancestors who lived healthy and happy lives for many years, inspired us to create a brand that blended ancient wisdom with a modern twist. We set about this journey by taking a fresh & contemporary approach to the traditional remedial recipes by experimenting, over time, with different ingredients and creating new taste sensations. 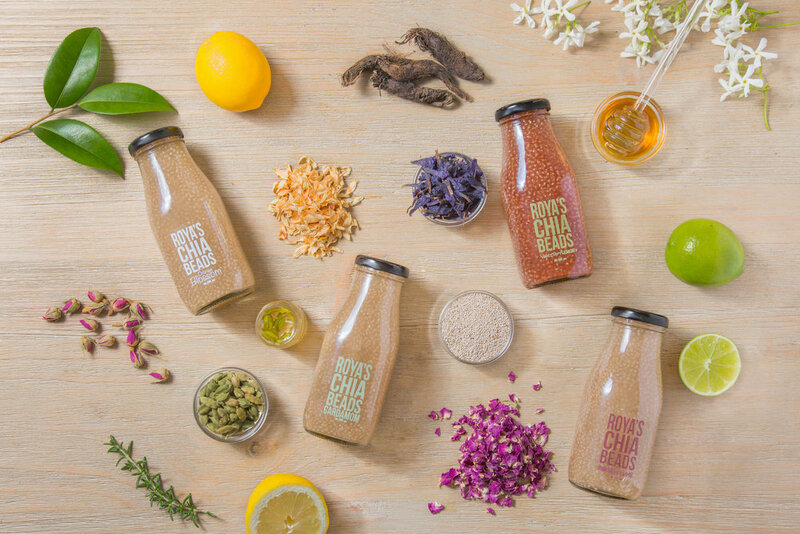 By harnessing the superfood goodness of chia seeds and traditional botanical waters, that are known to have therapeutic and toning properties, we created what we now believe, is a deliciously refreshing range of healthy drinks. The tiny powerhouses and botanical extracts contain countless amounts of natural antioxidants, known to nourish the cells and combat fatigue. For centuries, our ancestors have shown love for each other by creating traditional recipes to promote health and wellbeing. Now, we want to extend this tradition to our consumers and their families through our refreshing beverages. We hope the nourishing ingredients in our drinks positively contribute to your health and quality of life, as they have done for our previous generations.